The Jackbox Party Pack 4 is now available on any iPad running iOS 11, which means it’s even easier to take the party home for the holidays. You could, of course, crowd around the iPad like they did at the first Thanksgiving, but if you really want to distract your family from arguing about politics, here are a couple of different ways to put The Jackbox Party Pack 4 on a big, shiny TV. Turn on the Apple TV and launch The Jackbox Party Pack 4 on your iPad while politely nodding along to your uncle’s conspiracy theory. Bring up the Control Center on your iPad and select the “Screen Mirroring” option. You will soon be able to transition from that terrible news story on the TV to some enjoyable party games. Success! Now get out your phone or another device to use as a controller and you’re in business… not in the family business, but we don’t need to remind you of that. Connect an HDMI cable to your TV. Being careful not to strangle yourself during a discussion about NFL protests, connect the other end to your iPad HDMI adapter. 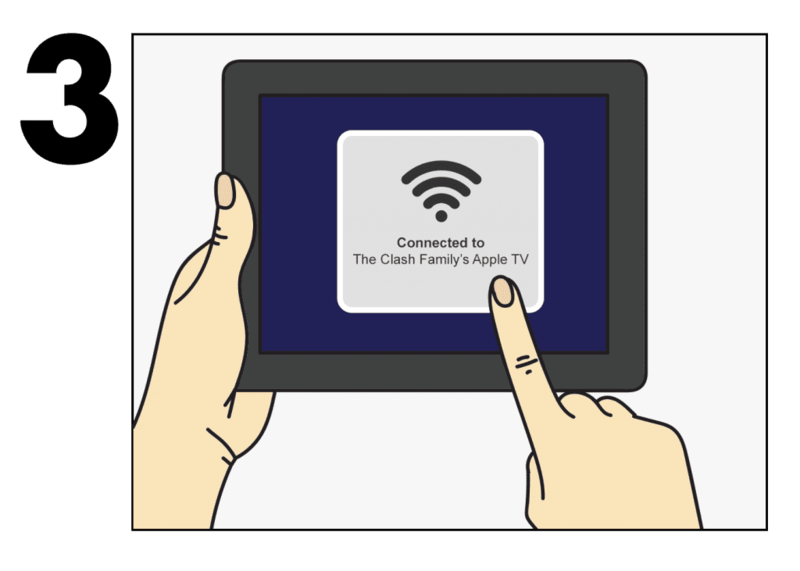 Plug the HDMI adapter into your Lightning port on your iPad. 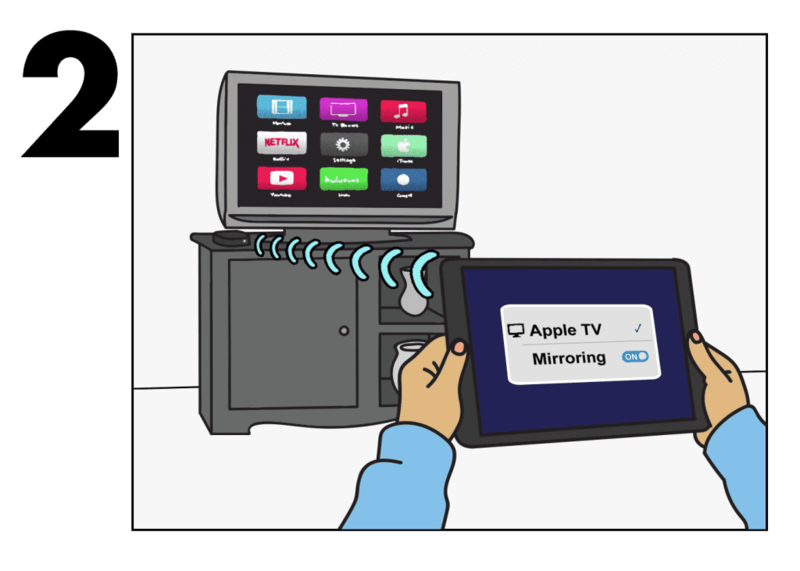 Your iPad screen should now be mirrored on your TV. Quickly launch The Jackbox Party Pack 4 before anybody notices the news apps on your iPad. Now all you need is a controller, so grab your phone or another browser-enabled device. Congratulations! 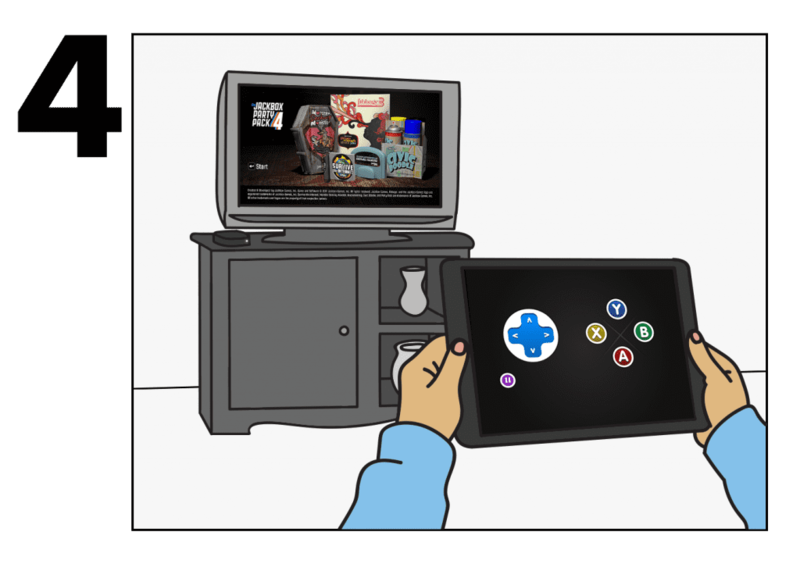 You are now set up to play The Jackbox Party Pack 4 from your iPad to your TV. The only thing you’ll be arguing about this holiday season is who wrote the funnier fart joke. Your holiday has officially been saved! That’s really cool and convenient. 😀 Hope everyone has fun during Thanksgiving reunion. Yes. If you buy the Steam version of the Mac App Store version, you can plug your MacBook into your TV with an HDMI adapter and play it on the big screen. Do you have to use an iPad? Or could you also use your iPhone with hdmi/Apple lightening adapter? And can you also do this with party pack 3 or only 4? We’ve only released Party Pack 4 so far, and it doesn’t work on iPhone yet. Right now it requires an iPad, even if you have an HDMI adapter. I don’t have an Apple TV. I don’t have an HDMI cable to go from a iPad to a TV. I DO have an HDMI cable to go from my laptop to my TV. Can I play Jackbox games from my laptop onto my TV with family in the same room? Which version do I purchase? Yes, you can! The Steam version works with both Windows and Mac. That’s the one you want. What version of Apple TV works best with The Jackbox Party Pack 4? I have the older model – MD199LL/A. Thanks. Only the Apple TV 4k and Apple TV 4th generation (as defined here: https://support.apple.com/en-us/HT200008) can play our games. Only The Jackbox Party Pack 4 is currently available on iPad (which doesn’t include Quiplash.) However, you can download The Jackbox Party Pack 4 to your iPad and plug it into your TV with an HDMI cable. I’d also like to know this. We have Apple TV and iPhones but no iPad. Is there a way to play QuipLash in the Apple iOS environment?